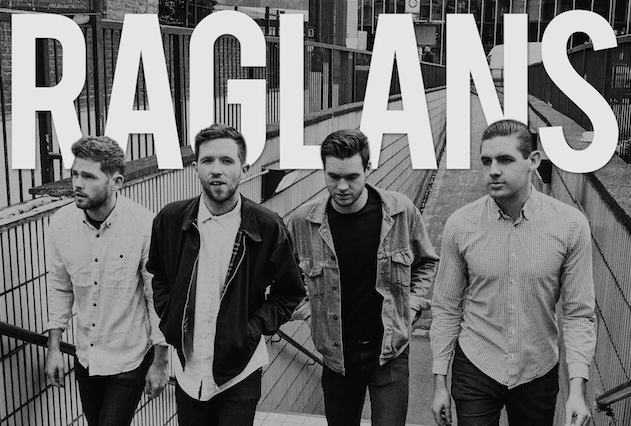 When the Raglans first burst onto the Irish music scene in 2014, their self-titled debut album was a classic mix of anthemic-pop and indie belters. Toeing the line between the cheekiness of The Kooks and the swagger of Arctic Monkeys, there was an undeniable sense of feel-good ambience to their sound. However, the occasional addition of the mandolin to tracks helped to earmark them as ones to watch in the future. Raglans quickly began establishing themselves as a notable live Irish act, drawing on more rock elements throughout their live performances. Frontman Stephen Kelly has already earned himself a reputation for being quite the performer as well as singer, and his perfectly pitched vocals demonstrate Raglans refused to simply rest on their laurels as rising stars. Becoming as renowned for ther live shows as they were for their songwriting, Raglans began the usual touring throughout Ireland and along the festival circuit before retreating towards middle of this year to begin writing for their second album. We’ve already been lucky enough to receive a taster of what’s to come in the form of ‘Same Stone Pavements’. The track proved to be a striking development for the band with a greater focus on the craftsmanship of their songs. It’s a departure from their initial cheeky vibes in favour of something more stripped back; the vocals are more alluring and poignant – it’s a beautiful transition for the band. It’s clear that the band are bringing the slight grittiness of their live performances to their music at last so hopefully it will be a reoccuring theme throughout their next album release whilst still managing to hold onto some of the youthful exuberance that they burst onto the scene with initially.